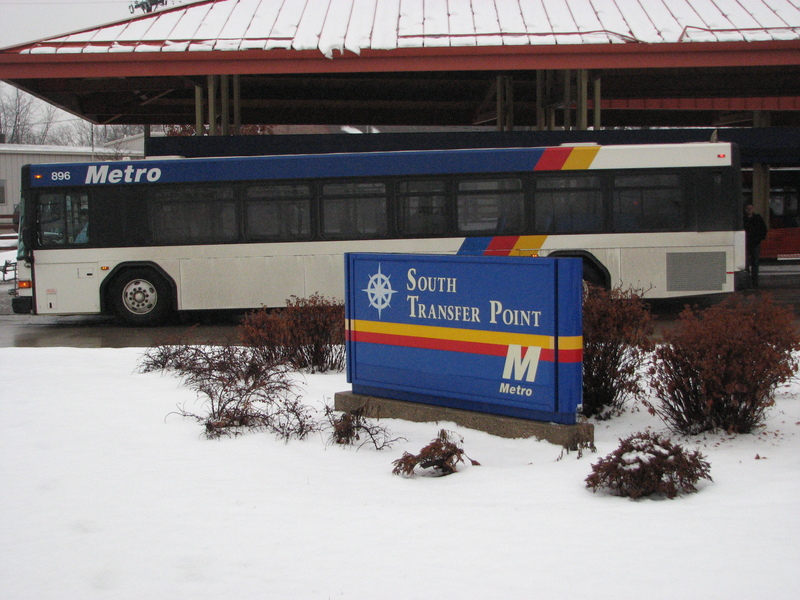 The Route 4 bus that we took from University of Wisconsin to the South Transfer Point. 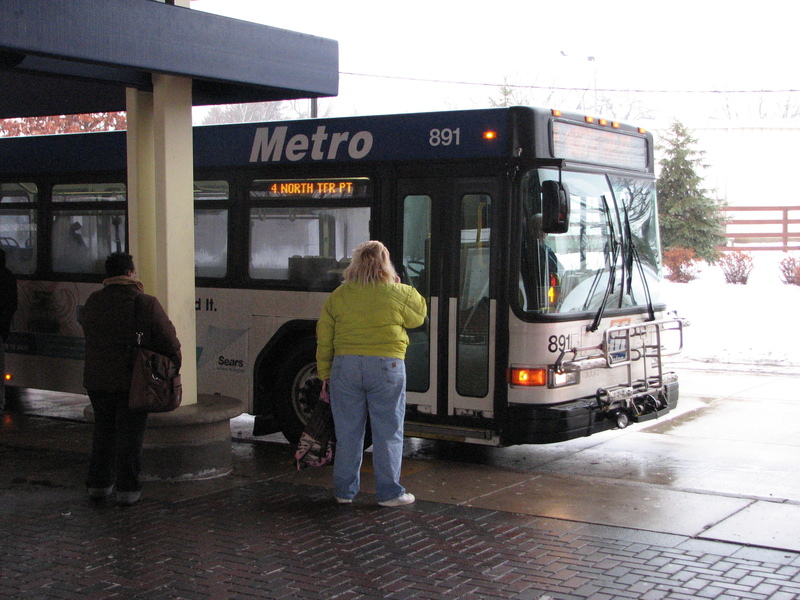 It's now going to head out on its northbound route. 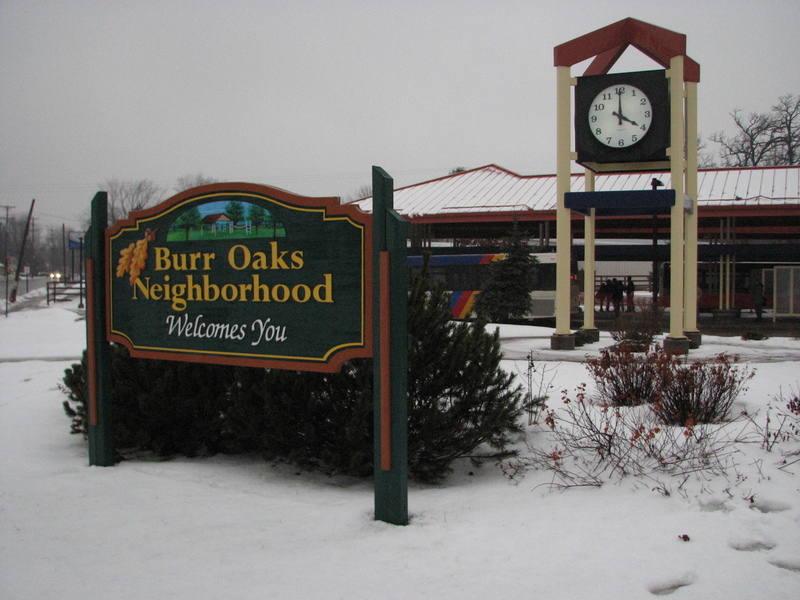 "Burr Oaks Neighborhood Welcomes You." 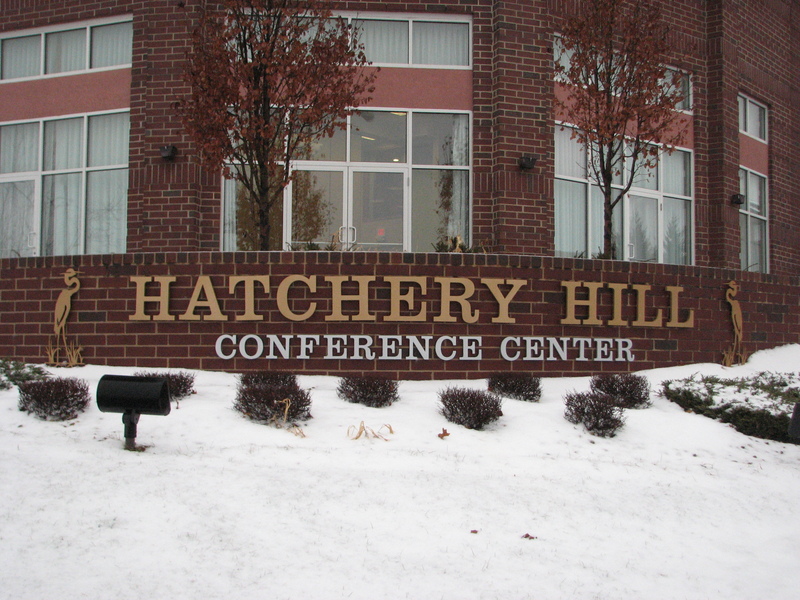 If you find this sign you'll find the South Transfer Point. 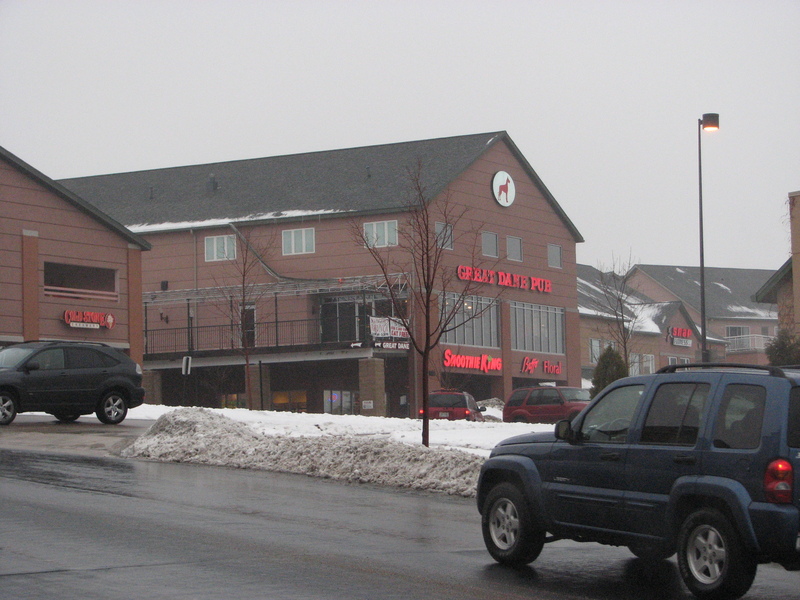 The Great Dane Pub is off of the same road (Cahill Main) that the hotel's on. 5683-06 high-res image, 5683-07 high-res image. 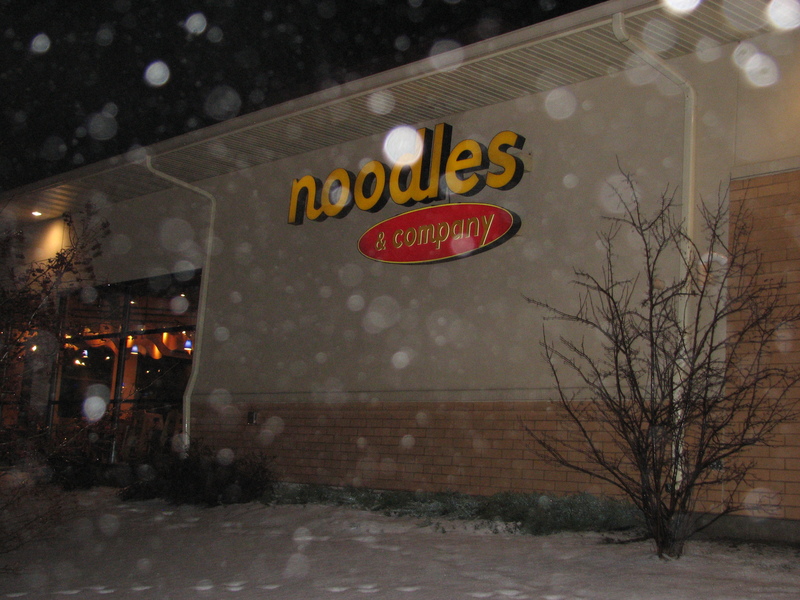 Noodles & Company is around the corner and up a bit, off of McKee & Triverton Pike. 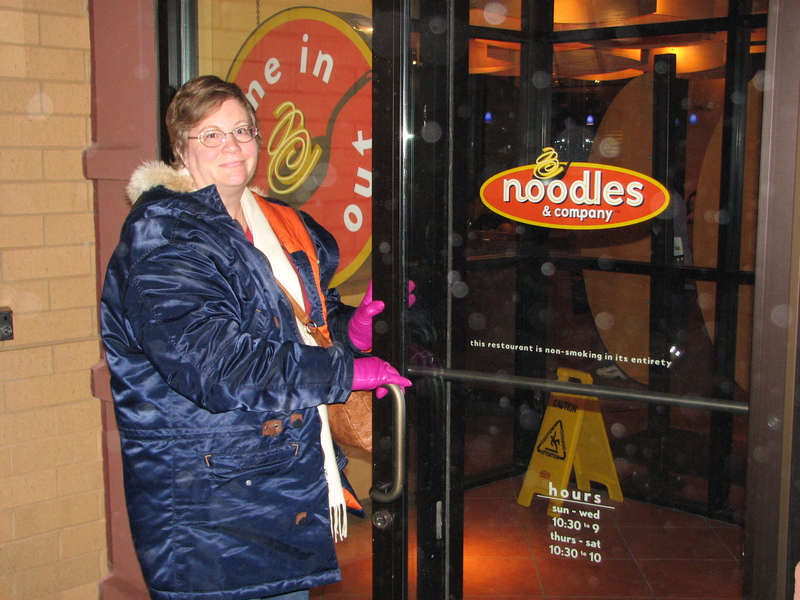 Lynn Baden at the door to Noodles & Company. 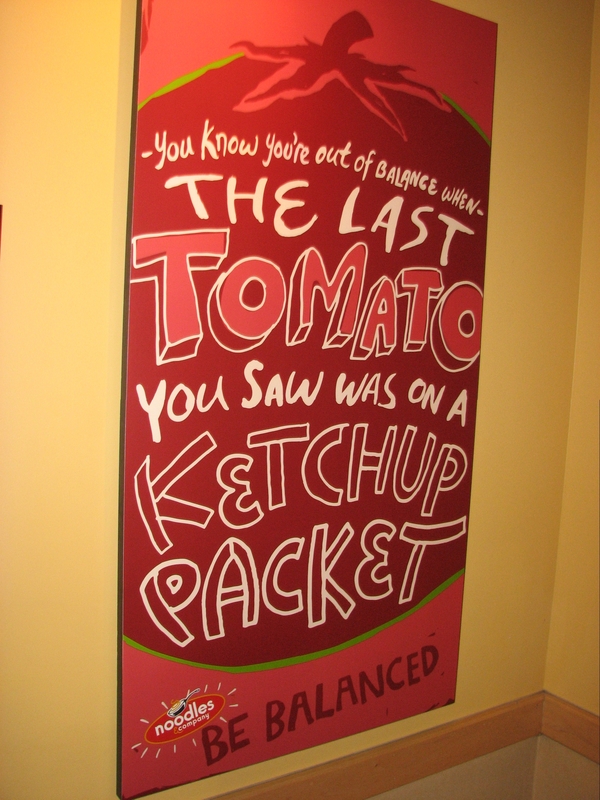 "You know you're out of balance when the last tomato you saw was on a ketchup packet. 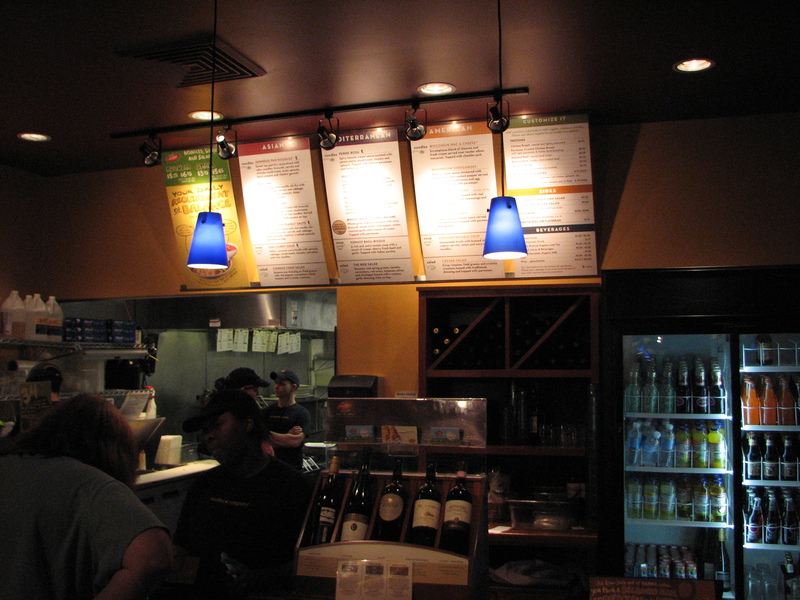 Noodles & Company - Be Balanced." 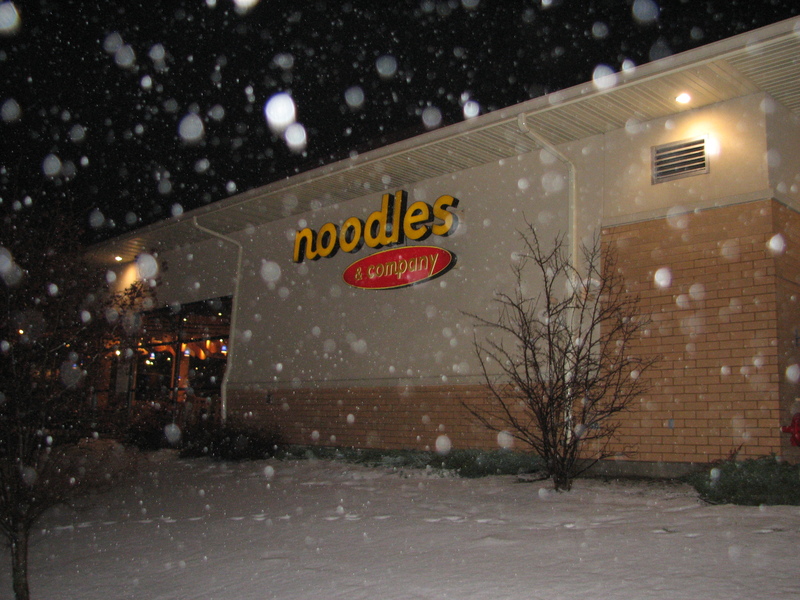 The menu has various noodle dishes - Asian, Mediterranean, and American -- and also salads and soups.